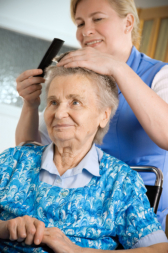 With our Personal Care Attendants’ help, you can pursue a quality life at home. Even in your old age or disability, for as long as you have access to Home Care in Aurora, Colorado, you can enjoy the comforts of your own abode and avoid the need for long-term confinement in nursing homes or care facilities. If you have questions about personal care, companionship or any of our home health care services, please feel free to call Colorado Family Quality Home Care at 303-632-7225.